During my 3 day stint on the farm, I also started building the first brooding hut for baby chicks. I had a design epiphany overnight and ended up tearing it apart and rebuilding it. I’m documenting the process to publish a post on the full design in the future! 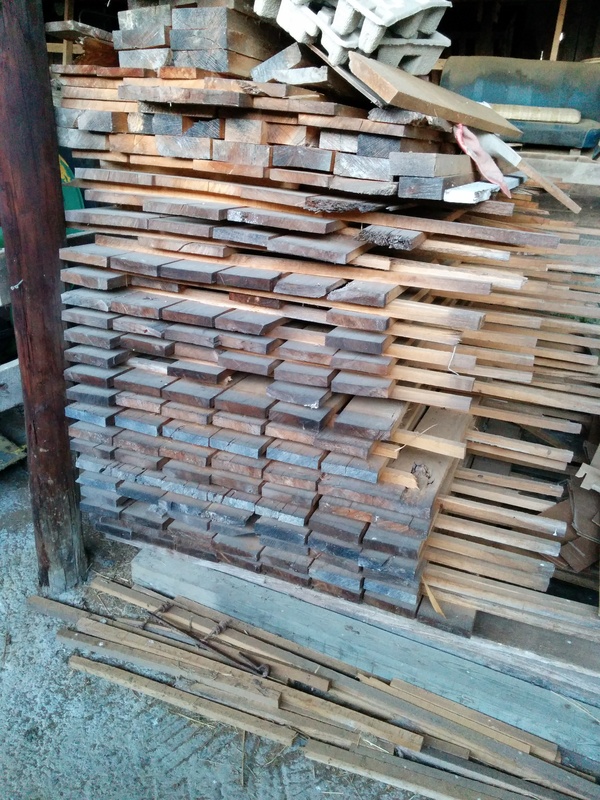 For now I will leave you with my stash of oak, ash and cedar 8-12 foot boards that was milled here on the farm. Even though its about 60% depleted, I should have plenty for building brooders, pasture broiler pens, the henmobile for layers and beehives. I also have various other piles reclaimed from torn up decks and various other scrap producing projects!